Here we are going to disclose Kolkata’s Best Durga Puja pandals that you should not miss. Among hundreds of Durga Puja pandals in Kolkata; we are here going to tell you most popular Durga Puja pandal names & locations in Kolkata. These famous Durga Pujas of Kolkata; one shouldn't miss. Below mentioned Top 40 Durga Puja Pandals of Kolkata come with innovative themes every year. Thousands of visitors every year used to visit these popular durga pujas of Kolkata for their lighting & various themes. It’s impossible to visit each & every famous Durga Puja pandals of Kolkata in one day / night because of their location, crowd & traffic. Thus, it’s better to divide locations like one day North Kolkata’s durga puja pandals, one day South Kolkata’s Durga pujas and one day Central Kolkata’s Durga pujas. Tala Park, Dumdum Park, Shree Bhumi, Baghbazar, Ahiritola, Kumartuli, Telengabagan, Sovabazar Rajbari etc. are the names of most popular North Kolkata’s Durga Puja pandals. Check list of all famous North Kolkata’s Durga Puja Pandals here. While taking the names of famous Central Kolkata’s Durga Puja Pandals; one should visit Sealdah Athletics, College Square, Md. Ali Park, Entally etc. etc. Check list of all popular Central Kolkata’s Durga Puja Pandals here. In case of best South Kolkata’s Durga Puja names are like, Chetla Agrani, Jodhpur Park, Maddox Square, Kasba Bosepukur, Behala Barisha etc. Check list of all famous durga pujas of South Kolkata. Now, let’s check out Top 40 Durga Puja Pandal names & locations in Kolkata. Paikpara Sarbojanin Durgotsav [Address / Location: - Gangulypara Lane, Paikpara, Kolkata-2]. Dumdum Park Bharat Chakra Sarbojanin Durgotsav [Address / Location: - 2 Tank, Dumdum Park, Kolkata-55]. Dumdum Tarun Dal Sarbojanin Durgotsav [Address / Location: - 60 Shyamnagar Road, Kolkata-55]. Lake Town Netaji Sporting Club Sarbojanin Durgotsav [Address / Location: - Lake Town Block-A, Kolkata-89]. Sree Bhumi Sporting Club Sarbojanin Durgotsav [Address / Location: - Canal Street, Sreebhumi, Kolkata-48]. Salt Lake FD Block Sarbojanin Durgotsav [Address / Location: - Community Centre, FD Park, Sector-3, Bidhannagar, Kolkata-106]. Telenganabagan Sarbojanin Durgotsav [Address / Location: - 65, Adhar Chandra Das Lane, Kolkata-67]. Maniktala Chaltabagan Lohapatty Durga Puja Committee [Address / Location: - 77 Raja Rammohan Roy Sarani, Kolkata-9]. Baghbazar Sarbojanin Durgotsav [Address / Location: - 78, Baghbazaar Street, Kolkata-3]. Kumartully Sarbojanin Durgotsav [Address / Location: - 1/A Durga Charan Banerjee Street, Kumartully, Kolkata-5]. Shimla Bayam Samity Sarbojanin Durgotsav [Address / Location: - 9B Singhi Lane, Kolkata-6]. Kasibose Lane Durga Puja Committee [Address: - 6A Kashi Bose Lane, Kolkata-6]. Ahiritola Sarbojanin Durgotsav Samiti [Address / Location: - 30/C, B.K.Pal Avenue, Kolkata-5]. Md. Ali Park Sarbojanin Durgotsav [Address / Location: - 41/A, Tarachand Dutta Street, Kolata-73]. College Square Sarbojanin Durgotsav [Address / Location: - 53, College Street, Kolkata-73]. Santoshmitra Square (Lebutala Park) Sarbojanin Durgotsav [Address / Location: - Near, Muchipara Police Station (Thana), Kolkata-12]. Tala Baroary Sarbojanin Durgotsav [Address / Location: - 15 Raja Seu Bax Bagan Lane, Tala Park, Kolkata-2]. Chakraberia Sarbojanin Durgotsav [Address / Location: - 58/A, Chakraberia Road (North), Kolkata-20]. Behala Barisha Club Sarbojanin Durgotsav [Address / Location: - 5-8 Santosh Roy Road, Behala, Sakherbazar, Kolkata-4]. Behala Nutandal Sarbojanin Durgotsav [Address / Location: - 16, Sashi Bhusan Mukherjee Road, Behala, Kolkata-34]. Suruchi Sangha Sarbojanin Durgotsav [Address / Location: - 500-505, Block M, New Alipur, Kolkata-53]. Chetal Agrani Club Sarbojanin Durgotsav [Address / Location: - 14, Pyari Mohan Roy Road, Chetla, Kolkata-27]. 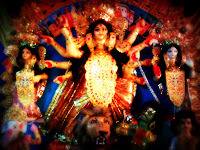 Maddox Square, Ballygaunge Durga Puja Samiti Sarbojanin Durgotsav [Address / Location: - Arley Street, Garcha, Ballygunje, Kolkata-25]. 66 Pally Sarbojanin Durgotsav Committee [Address / Location: - 14A Nepal Bhattacharjee Street, Kolkata-26]. Badamtala Ashar Sangha Sarbojanin Durgotsav [Address / Location: - 5B Nepal Bhattacharjee Street, Kolkata-26]. Mudiali Club Sarbojanin Durgotsav [Address / Location: - 33 S.R. Das Road, Kolkata-26]. Shib Mandir Sarbojanin Durgotsav [Address / Location: - Lake Temple Road, Kolkata-29]. Samaj Sebi Sangha Sarbojanin Durgotsav [Address / Location: - 24A Lake View Road, Kolkata-29]. Ballygunje Cultural Association Sarbojanin Durgotsav [Address / Location: - 57, Jatin Das Road, Kolkata-29]. Tridhara Sanmilani Sarbojanin Durgotsav [Address / Location: - 1, Ashwini Dutta Road, Kolkata-23]. Deshpriya Park Sarbojanin Durgotsav [Address / Location: - Deshpriya Park, Rashbehari Avenue, Kolkata-26]. 95 Pally Sarbojanin Durgotsav Committee [Address / Location: - 70-O-55, Rahim Ostagar Road, Lake Gardens, Kolkata-45]. Ekdalia Evergreen Club Sarbojanin Durgotsav [Address / Location: - Gariahat, Kolkata-19]. Singhi Park Sarbojanin Durgotsav [Address / Location: - Fort Teresa, 5 Ramani Chatterjee Road, Kolkata-29]. Bosepukur Talbagan Sarbojanin Durgotsav [Address / Location: - 27C/1 Bosepukur Road, Kolkata-42]. Bosepukur Sitala Mandir Sarbojanin Durgotsav [Address / Location: - 39/1/A Bosepukur Road, Kolkata-42]. Santoshpur Avenue South Pallymangal Samiti Sarbojanin Durgotsav [Address / Location: - Santospur Avenue South, Kolkata]. Santoshpur Lake Pally Sarbojanin Durgotsav [Address / Location: - Near Santoshpur Lake, Kolkata]. Naktala Udayan Sangha Sarbojanin Durgotsav [Address / Location: - 1/250 Krishanu Dey Sarani, Naktala, Kolkata-47]. Garia Naba Durga Sarbojanin Durgotsav [Address / Location: - Garia Station Road, Garia, Kolkata]. Famous Durga Puja Pandals of Salt Lake area (East Kolkata). Popular Durga Puja Pandal names of South Kolkata. South Kolkata's Best Durga Puja Pandal names. Popular Durga Puja Pandals of Behala (South West Kolkata). Famous Durga Puja pandal names of Northern Kolkata. Popular Durga Puja Pandal names of North & Central Kolkata. Names of Kolkata's Bonedi Barir Durga Pujas. Best Durga Puja Pandal names of Howrah. This is to inform you all, that Kolkata Metro Railway will be available till 4am (early morning) during Durga Puja days in Kolkata for the convenience of people. Many local trains are also going to run from Sealdaha & Howrah station during night time in Kolkata Durga Puja. Plan your route before going out for visiting Kolkata’s best durga puja. All the best and Happy Puja. There are so many Durga Puja organizers of Kolkata come up with new creative theme every year and try to convey a message. Amongst hundreds of Durga Pujas of Kolkata; few of them rewarded as Best Durga Pujas of Kolkata with memento & prize money by few well-known companies every year. ABP Ananda TV Channel, 24 Ghanta Television Channel, Anandabazar Patrika, URO Group, Chakra Group, Asian Paints & many other famous companies visits Kolkata’s Popular Durga Puja Pandals and select Best Durga Puja Pandals of Kolkata and award them. Most prestigious award for Kolkata’s Durga Puja Organizers are Asian Paints Sharad Samman, ABP Ananda Blockbuster Mega Star Super star award, Anandabazar Patrika’s Sharad Arghya award etc. We have already informed you the Top 24 2012 Durga Puja Pandals of Kolkata selected by Siti Cable earlier and now we will let you know the 2012 Best Durga Puja Pandal Names of Kolkata as per URO Group and Anandabazar Patrika Sharad Arghya. URO Group has selected few Durga Pujas of Kolkata in this year (2012) and going to felicitate them with awards. Let’s check out the Sera Durga Pujas of Kolkata by URO Group. • 2012 Sera Durga Puja Pandal names of Kolkata: - Maniktala Chaltabagan Lohapatti Durga Puja Committee, Kankurgachi Mitali, Tridhara Sanmilani, Shib Mandir, Naktala Udayan Sangha. • 2012 Sera inventive themed Durga Puja Pandal names of Kolkata: - Tala Baroari Durgotsav, Sanmilita Malapara Sarbajanin, Baisnavghata Patuli Upanagari Sarbojanin Durgotsav Committee, Rupchand Mukherjee Lane Sarbojanin Durgotsav. 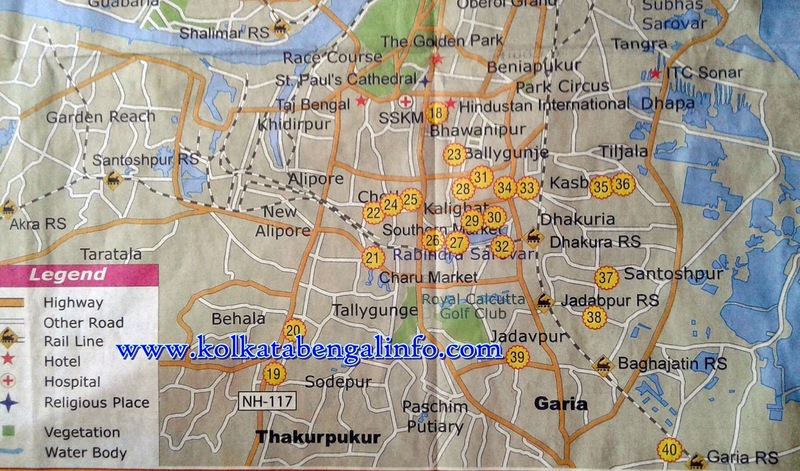 • 2012 Sera Abasan Durga Puja names of Kolkata: - Salt Lake Laboni Estate Durga Puja Committee and West End Abasan. • 2012 Banedi Barir Sera Durga Puja of Kolkata: - Estate Badan Chandra Roy Bari and Darji Para Mitra Bari (Late Rahkrishna Mitra). • 2012 Sera Durga Pujas of Districts (Zilla): - Olabibitala Sarbojanin Durgotsav Committee (South 24 Parganas), Balagarh Mangal Samity, Rajpur M.N. Roy Road, Ramgarh Jayasrinagar Association. 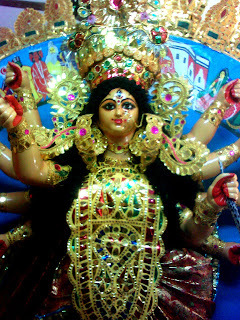 • Chakra Group 2012 Best Kolkata Durga Puja Award Winner: - Tridhara Sanmilani Durga Puja. • North Kolkata Chakra Group 2012 Best Durga Puja award winner: - Mitali Sangha of Kankurgachi. • B.C. Sen Jewellers 2012 Best North Kolkata’s Durga Pratima of Kolkata winner: - Beleghata 33 Pallibasibrinda. • Concast 2012 Best North Kolkata Puja Pandal winner name: - Mitali Sangha of Kankurgachi, Kolkata. • 2012 Best Lighting of North Kolkata Award winner: - Dumdum Park Bharat Charka. • B.C. Sen Jewellers 2012 Best Durga Pratima of South Kolkata award winner: - Tridhara Sanmilani. • Concast 2012 Best Durga Puja Pandal of South Kolkata award winner: - Chetla Agrani Club. • 2012 Best Durga Puja Light Decoration of South Kolkata award winner: - Chetla Agrani Club. • Chakra Group Best Durga Puja of Howrah award winner: - Byatra Nabin Sangha. • B.C. Sen Jewellers 2012 Best Durga Pratima of Howrah award winner: - Pagla Fauj. • Concast 2012 Best Durga Puja Pandal of Howrah award winner: - Byatra Nabin Sangha. • Best Light Decoration of Howrah Puja Pandal winner: - Kaji Bagan Lane Unnayan Samity & Defence Party. Chetla Agrani Club is also received most prestigious award of ABP Ananda Blockbuster in this year 2012. So, if you not yet seen the pandal in person then go now. Do you want to know the 2012 Durga Puja Special Local Trains Timetable of Sealdah to / from Baruipur (South) Station? Do you want to know the 2012 Durga Puja Special Local Trains Timetable of Sealdah to / from Bongaon, Barasat, Habra Station? Do you want to know the 2012 Durga Puja Special Local Trains Timetable of Sealdah to / from Ranaghat, Naihati, Barrackpore Station? Do you want to know the 2012 Durga Puja Special Local Trains Timetable of Sealdah to / from Dankuni, Dakshineswar Station? Eastern Railways (Sealdah Division) has announced few 2012 Durga Puja Special Local Trains to & from Sealdah Station from & to Baruipur Station, Bongaon Station, Naihati Station, Dankuni Station etc. etc. for the people. There are so many famous Durga Pujas are located nearby Bidhannagar Station (Ultadanga), Sealdah Station (Central Kolkata), Park Circus Station, Ballygunje Station, Dhakuria, Jadavpur Station; thus thousands of people come to Kolkata via Local Train from extreme Northern & Southern part. Let’s check out the 2012 Durga Puja Special Local Train time-table of Sealdah Division. A special Sealdah – Ranaghat EMU Local Train (up train) has been introduced for the people who are going to return Ranaghat, Barrackpore, Sodepur from Kolkata (Sealdah) after visiting Puja pandals during Durga Puja and required UP Local Trains towards Ranaghat at the midnight. Thus a Local Train from Sealdah to Ranaghat station will leave Sealdah station at 00:40am [midnight] and will reach Ranaghat station at 2:30am (late night). This extra Local Train from Sealdah to Ranaghat station at late night is only available between 20th October 2012 & 24th October 2012 [Durga Puja]. A special Ranaghat – Sealdah EMU Local Train (Down train) has been introduced for the people who are going to visit Kolkata via Sealdah station from Ranaghat, Barrackpore, Sodepur during Durga Puja and required DOWN Local Trains towards Sealdah at the midnight. Thus a Local Train from Ranaghat to Sealdah station will leave Ranaghat station at 11:45pm [night] and will reach Sealdah station at 01:40am (midnight). This extra DOWN Local Train from Ranaghat to Sealdah station at night is only available between 20th October 2012 & 24th October 2012 [Durga Puja]. Above mentioned 2012 Durga Puja Special Local Trains will be available along with other scheduled Sealdah - Ranghat Local Train Timetable. A special Sealdah – Bongaon EMU Local Train (up train) has been introduced for the people who are going to return Bongaon, Habra, Duttapukur, Barasat from Kolkata (Sealdah) after visiting Puja pandals during Durga Puja and required UP Local Trains towards Bongaon at the midnight. Thus a Local Train from Sealdah to Bongaon station will leave Sealdah station at 00:40am [midnight] and will reach Bongaon station at 2:30am (late night). This extra Local Train from Sealdah to Bongaon station at late night is only available between 20th October 2012 & 24th October 2012 [Durga Puja]. A special Bongaon – Sealdah EMU Local Train (Down train) has been introduced for the people who are going to visit Kolkata via Sealdah station from Bongaon, Habra, Duttapukur, Barasat during Durga Puja and required DOWN Local Trains towards Sealdah at the midnight. Thus a Local Train from Bongaon to Sealdah station will leave Bongaon station at 11:55pm [night] and will reach Sealdah station at 01:45am (midnight). This extra DOWN Local Train from Bongaon to Sealdah station at night is only available between 20th October 2012 & 24th October 2012 [Durga Puja]. Above mentioned 2012 Durga Puja Special Local Trains will be available along with other scheduled Sealdah - Bongaon Local Train Timetable. A special Sealdah – Dankuni EMU Local Train (up train) has been introduced for the people who are going to return Dankuni from Kolkata (Sealdah) after visiting Puja pandals during Durga Puja and required UP Local Trains towards Dankuni at the midnight. Thus a Local Train from Sealdah to Dankuni station will leave Sealdah station at 11:30pm [midnight] and will reach Dankuni station at 00:15am (late night). This extra Local Train from Sealdah to Dankuni station at late night is only available between 20th October 2012 & 24th October 2012 [Durga Puja]. A special Dankuni – Sealdah EMU Local Train (Down train) has been introduced for the people who are going to visit Kolkata via Sealdah station from Dankuni during Durga Puja and required DOWN Local Trains towards Sealdah at the midnight. Thus a Local Train from Dankuni to Sealdah station will leave Dankuni station at 00:25am [night] and will reach Sealdah station at 1:05am (midnight). This extra DOWN Local Train from Dankuni to Sealdah station at night is only available between 20th October 2012 & 24th October 2012 [Durga Puja]. Above mentioned 2012 Durga Puja Special Local Trains will be available along with other scheduled Sealdah - Dankuni Local Train Timetable. Two special Sealdah – Naihati EMU Local Train (up train) has been introduced for the people who are going to return Barrackpore, Naihati from Kolkata (Sealdah) after visiting Puja pandals during Durga Puja and required UP Local Trains towards Naihati at the midnight. Thus two Local Train from Sealdah to Naihati station will leave Sealdah station at 1:45am & 2:30am [midnight] and will reach Naihati station at 2:45am & 3:35am (late night) respectively. These extra Local Trains from Sealdah to Naihati station at late night is only available between 20th October 2012 & 24th October 2012 [Durga Puja]. Two special Naihati – Sealdah EMU Local Train (Down train) has been introduced for the people who are going to visit Kolkata via Sealdah station from Naihati, Barrackpore, Sodepur during Durga Puja and required DOWN Local Trains towards Sealdah at the midnight. Thus two Local Trains from Naihati to Sealdah station will leave Naihati station at 00:25am & 2:55am and will reach Sealdah station at 1:30am & 4:00am respectively. These extra DOWN Local Train from Naihati to Sealdah station at night is only available between 20th October 2012 & 24th October 2012 [Durga Puja]. Above mentioned 2012 Durga Puja Special Local Trains will be available along with other scheduled Sealdah - Naihati Local Train Timetable. Three special Sealdah – Baruipur EMU Local Trains (down train) has been introduced for the people who are going to return Baruipur, Mallickpur, Narendrapur from Kolkata (Sealdah) after visiting Puja pandals during Durga Puja and required DOWN Local Trains towards Baruipur at the midnight. Thus three Local Trains from Sealdah to Baruipur station will leave Sealdah station at 4:05pm (afternoon), 00:30am (midnight), & 02:20am [late night] and will reach Baruipur station at 4:50pm (evening), 1:15am (late night) & 3:02am (early morning) respectively. These extra Local Trains from Sealdah to Baruipur station at late night is only available between 20th October 2012 & 24th October 2012 [Durga Puja]. Three special Baruipur – Sealdah EMU Local Trains (UP train) has been introduced for the people who are going to visit Kolkata via Sealdah station from Baruipur, Mallickpur, Sonarpur during Durga Puja and required UP Local Trains towards Sealdah at the midnight. Thus three Local Trains from Baruipur to Sealdah station will leave Baruipur station at 4:58pm (evening), 1:25am (midnight) & 3:10pm [early morning] and will reach Sealdah station at 5:44pm (evening), 2:10am (late night) & 3:52am (early morning). These extra UP Local Train from Baruipur to Sealdah station at night is only available between 20th October 2012 & 24th October 2012 [Durga Puja]. Above mentioned 2012 Durga Puja Special Local Trains will be available along with other scheduled Sealdah - Baruipur Local Train Timetable. A special Bongaon – Ranaghat EMU Local Train (Down train) has been introduced for the people who are going to Ranaghat from Bongaon after visiting Puja pandals during Durga Puja and required DOWN Local Trains towards Ranaghat at the midnight. Thus a Local Train from Bongaon to Ranaghat station will leave Bongaon station at 9:58pm [night] and will reach Ranaghat station at 10:55pm (night). This extra Local Train from Bongaon to Ranaghat station at late night is only available between 20th October 2012 & 24th October 2012 [Durga Puja]. A special Ranaghat – Bongaon EMU Local Train (UP train) has been introduced for the people who are going to Bongaon station from Ranaghat during Durga Puja and required UP Local Trains towards Bongaon at the midnight. Thus a Local Train from Ranaghat to Bongaon station will leave Ranaghat station at 10:00pm [night] and will reach Bongaon station at 11:00pm (night). This extra UP Local Train from Ranaghat to Bongaon station at night is only available between 20th October 2012 & 24th October 2012 [Durga Puja]. Above mentioned 2012 Durga Puja Special Local Trains will be available along with other scheduled Ranaghat - Bongaon Local Train Timetable. Note: - Eastern Railway has confirmed that the Durga Puja Special Local Trains from / to Sealdah Station will halt (stop) at every railway station on its route for the people. All Local Trains of Sealdah division will run as per the Sunday Timetable till 3pm on 22nd October (Astami), 23rd October (Nabami) & 24th October 2012 (Dashami). The Local Trains of Sealdah Division scheduled after 3pm will halt (stop) at every station during puja days. 34502 Down Sealdah – Canning Matribhumi Local Trains scheduled after 3pm are Cancelled from 22nd to 24th October 2012. 34353 UP Canning – Sonarpur Local Train scheduled after 3pm are Cancelled from 22nd to 24th October 2012. 34602 Down Sealdah – Baruipur Matribhumi Local Train scheduled after 3pm are Cancelled from 22nd to 24th October 2012. 33401 UP Sealdah – Barasat Matribhumi Local Train scheduled after 3pm are Cancelled from 22nd to 24th October 2012. 33801 UP Sealdah – Bongaon Matribhumi Local Train scheduled after 3pm are Cancelled from 22nd to 24th October 2012. 33364 Down Bongaon – Barasat Local Train scheduled after 3pm are Cancelled from 22nd to 24th October 2012. 31801 UP Sealdah – Krishnanagar Matribhumi Local Train scheduled after 3pm are Cancelled from 22nd to 24th October 2012. 31836 Down Krishnanagar – Sealdah Local Train scheduled after 3pm are Cancelled from 22nd to 24th October 2012. 31601 UP Sealdah – Ranaghat Matribhumi Local Train scheduled after 3pm are Cancelled from 22nd to 24th October 2012. 31630 Down Ranaghat – Sealdah Local Train scheduled after 3pm are Cancelled from 22nd to 24th October 2012. All Local Trains towards Airport are cancelled till 3pm on 22nd October (Astami), 23rd October (Nabami) and 29th October (Laxmi Puja). There will be NO Local Trains towards Airport on Dashami (24th October 2012). If you are planning to visit or to return via Local Trains then please make your trip as per the above Local Train Timings of Sealdah division during 2012 Durga Puja. If you are looking for the 2012 Durga Puja Special Local Trains of Howrah Division then please check out 2012 Durga Puja Special Local Trains of Howrah Bandel Bardhaman Kharagpur line. Do you want to know the list of Bonedi Barir Durga Pujas of Kolkata & of West Bengal? Are you looking for the Durga Pujas celebrated at various Rajbari, Bonedi Bari, Jamidar Bari etc of Kolkata & West Bengal? We all are aware of Shobhabazar Rajbari & it's Durga Puja; but there are many more Rajbari (Bonedi Bari) Durga Pujas are organized every year in Kolkata & other places of West Bengal. Here is the list of all Raj Bari (Bonedi Bari) Durga Pujas of Kolkata & other locations of West Bengal. Guha Barir Durga Puja of North Kolkata. Bishnupur Rajbari Durga Puja of Bankura. Cooch Behar Debi Bari Durga Puja. Bhowanipore Mitra Bari Durga Puja of Kolkata. Jorasako Daw Bari Durga Puja of Kolkata. Goswami Bari - Gopal Nagar Durga Puja. Nilmani Dey Thakurbari Durga Puja. Kundu Bari at Jorasako Durga Puja of Kolkata. Motilal Seal House - Colootola Durga Puja. Kalibabur Bari Durga Puja of Janai in Hooghly district. Sen Bari Berhampore Durga Puja of Murshidabad. Bakulia House Kiddirpore Durga Puja of Kolkata. Andul Raj Bari Durga Puja of Howrah. Kumilah Sreerampore Dutta Bari Durga Puja of Srirampore (Hooghly). Dorjipara Dawn Bari Durga Puja. Rani Rashmoni’s House Durga Puja. Dhar Bari Durga Puja of Kolootola in Kolkata. Seal bari Durga Puja of Chorbagan, Kolkata. Ghosh Bari Pathuriaghata Durga Puja. Mullick Bari Durga Puja at Bhawanipur, Kolkata. Dutta Bari Durga Puja at Thanthania, Kolkata. Roy Bari Durga Puja at Kolutola, Kolkata. Sovabazar Rajbari Durga Puja of Kolkata. Mitra Bari Durga Puja at Dorjipara. Laha Bari Durga Puja of Thanthania, Kolkata. We have informed you the famous North & Central Kolkata Durga Puja Pandal Names, South Kolkata Durga Puja Pandal name list, Behala area’s Durga Puja Pandal name list, famous Salt Lake & East Kolkata Durga Puja Pandal Names earlier. You may also visit Durga Puja Pandals of extreme Southern part of Kolkata [Naktala, Patuli, Haridevpur, Rajpur etc] or may visit Durga Puja Pandals of Howrah & Nearby areas to avoid huge crowd. 2012 must visit Durga Puja Pandals of Barrackpore, Sodepur, Khardah, Rahara, Panihati & Agarpara area of North Kolkata. 2012 famous Durga Puja Pandals of Barahnagar, Sinthi More, Chiriamore, Cossipore, Paikpara areas of North Kolkata. 2012 Durga Puja Pandal Themes of Dum Dum, Nagerbazar, Gorabazar, Airport 1no. 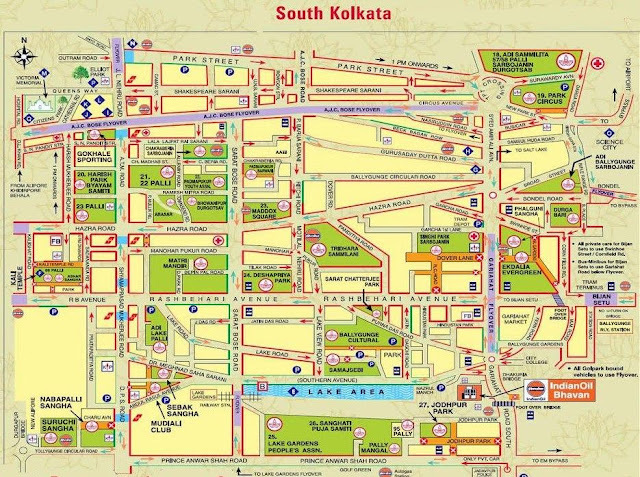 areas of North Kolkata. 2012 must visit Durga Puja Pandals of Baguiati, Kestopur, Lake Town, Kalindi, Dumdum areas of North Kolkata. 2012 must visit Durga Puja Pandals of Kankurgachi, Maniktala, Sovabazar areas of North Kolkata. 2012 Best Durga Puja Pandals of Naktala, Golf Green, Baghajatin areas of South Kolkata. Top 24 Durga Puja Pandals of Kolkata in 2012 by Siti Cable. Do you want to know the list of all famous Durga Pujas of North Kolkata? Do you want to know what Durga Puja Pandals of North Kolkata should be visited? There are so many famous Durga Puja pandals are located in North Kolkata’s various places like Sinthi More, Barahanagar, Ariadaha, Belgharia, Agarpara, Khardah, Barrackpore, Nimta, Birati, Madhyamgram, Barasat etc etc. Here are few names of North Kolkata’s popular Durga Puja Pandals for you. Sinthi Youth Athletic Club – famous Durga Puja Pandal of Northern Kolkata region. Chiriamore Sarbojanin – famous Durga Puja Pandal of Northern Kolkata region. Nimta Nadikul Unnayan & Kalyan Samiti – famous Durga Puja Pandal of Northern Kolkata region. Barahnagar Friends’ Association – famous Durga Puja Pandal of Northern Kolkata region. Barahnagar Kamarpara Sarbojanin – famous Durga Puja Pandal of Northern Kolkata region. Barahnagar Munsir Bagan – famous Durga Puja Pandal of Northern Kolkata region. Barahanagar Kalakar Para – famous Durga Puja Pandal of Northern Kolkata region. Barahanagar Fakir Ghosh Lane – famous Durga Puja Pandal of Northern Kolkata region. Netaji Park Sarbojanin – famous Durga Puja Pandal of Northern Kolkata region. Debigarh – famous Durga Puja Pandal of Northern Kolkata region. Lake Palli Sporting – famous Durga Puja Pandal of Northern Kolkata region. Lake View Park Sarbajanin – famous Durga Puja Pandal of Northern Kolkata region. Nilgunje Road Sarbojanin – famous Durga Puja Pandal of Northern Kolkata region. Dum Dum Nagerbazar Bapuji Colony Adhibasibrinda – famous Durga Puja Pandal of Northern Kolkata region. Nagerbazar Sarbojanin – famous Durga Puja Pandal of Northern Kolkata region. Amarpalli Adhibasibrinda – famous Durga Puja Pandal of Northern Kolkata region. Dum Dum Nagerbazar Bhagwati Park Sarbajanin – famous Durga Puja Pandal of Northern Kolkata region. Kajipara Yuva Brinda – famous Durga Puja Pandal of Northern Kolkata region. Naba Rabibasar Jugipara – famous Durga Puja Pandal of Northern Kolkata region. Sethbagan Sarbojanin – famous Durga Puja Pandal of Northern Kolkata region. Fakirbagan Sarbojanin – famous Durga Puja Pandal of Northern Kolkata region. Dum Dum Motijheel Sarbojonin – famous Durga Puja Pandal of Northern Kolkata region. 11 Palli Sukantapalli Sarbojanin – famous Durga Puja Pandal of Northern Kolkata region. Dum Dum Airport City Abasikbrinda – famous Durga Puja Pandal of Northern Kolkata region. Badra Agragami – famous Durga Puja Pandal of Northern Kolkata region. Dum Dum Malpalli Sarbojanin – famous Durga Puja Pandal of Northern Kolkata region. Dum Dum Mal Enclave Abasikbrinda – famous Durga Puja Pandal of Northern Kolkata region. Dum Dum Gorabazar Bani Sangha – famous Durga Puja Pandal of Northern Kolkata region. Dum Dum Cantonment Anami Sangha – famous Durga Puja Pandal of Northern Kolkata region. Dum Dum Cantonment Baroaritala Sarbojanin – famous Durga Puja Pandal of Northern Kolkata region. Koyla Vihar Basundhara Adhibasi Brinda – famous Durga Puja Pandal of Northern Kolkata region. Dum Dum Airport 1no. Motilal Adhibasibrinda – famous Durga Puja Pandal of Northern Kolkata region. Ghoshpara Bandhu Dal – famous Durga Puja Pandal of Northern Kolkata region. Belgharia Panchanantala Banimandir – famous Durga Puja Pandal of Northern Kolkata region. Belgharia Manasbag [Nowdapara / 11no Bus Stand] – famous Durga Puja Pandal of Northern Kolkata region. Belgharia Nandannagar Government housing – famous Durga Puja Pandal of Northern Kolkata region. Belgharia Vivekanandanagar – famous Durga Puja Pandal of Northern Kolkata region. Belgharia Buroshibtala Debaytan Sanrakshan Samiti – famous Durga Puja Pandal of Northern Kolkata region. Belgharia Basanta Bihar – famous Durga Puja Pandal of Northern Kolkata region. Ariadaha Srikrishnanagar Jagorani Sangha – famous Durga Puja Pandal of Northern Kolkata region. Ariadaha Kamarhati Naisha Prahari Club – famous Durga Puja Pandal of Northern Kolkata region. Ariadaha Pragati Sangha – famous Durga Puja Pandal of Northern Kolkata region. Dakshineswar Domestic Area – famous Durga Puja Pandal of Northern Kolkata region. Dakshineswar Kishor Sangha Club – famous Durga Puja Pandal of Northern Kolkata region. Agarpara Aangik Pathagar – famous Durga Puja Pandal of Northern Kolkata region. Khardah Rabindrapalli Sarbojanin – famous Durga Puja Pandal of Northern Kolkata region. Khardah Netaji Sporting Club – famous Durga Puja Pandal of Northern Kolkata region. Mahajatinagar Sarbajanin – famous Durga Puja Pandal of Northern Kolkata region. Talpukur Baroari Sri Sri Durga & Laxmi Puja Committee – famous Durga Puja Pandal of Northern Kolkata region. Anandapuri Shitalamandir Samaj – famous Durga Puja Pandal of Northern Kolkata region. Sevagram – famous Durga Puja Pandal of Northern Kolkata region. Shanti Sangha – famous Durga Puja Pandal of Northern Kolkata region. Barrackpore Chiriamore Yuva Shakti Manas – famous Durga Puja Pandal of Northern Kolkata region. Barrackpore Sukanta Sarani O Purba Talbagan Durgotsav Committee – famous Durga Puja Pandal of Northern Kolkata region. Birati Sandhani Sarbajanin – famous Durga Puja Pandal of Northern Kolkata region. Nimta Subhas Sangha Sarbojanin – famous Durga Puja Pandal of Northern Kolkata region. New Barrackpore Purba Kodalia Palli Unnayan Sangha Sarbojanin – famous Durga Puja Pandal of Northern Kolkata region. Purbanchal Sarbojanin – famous Durga Puja Pandal of Northern Kolkata region. Satin Sen Nagar Mahajati Parishad – famous Durga Puja Pandal of Northern Kolkata region. Purbachal Sarbojanin – famous Durga Puja Pandal of Northern Kolkata region. Chinar Park Adhibasibrinda – famous Durga Puja Pandal of Northern Kolkata region. Hridaypur Hariharpur Sarbojanin – famous Durga Puja Pandal of Northern Kolkata region. Barasat 4 Pally – famous Durga Puja Pandal of Northern Kolkata region. Barasat Uttar Ashwinipalli Sarbojonin – famous Durga Puja Pandal of Northern Kolkata region. Barasat Sethpukur Sarbojanin – famous Durga Puja Pandal of Northern Kolkata region. Barasat Sabuj Sangha – famous Durga Puja Pandal of Northern Kolkata region. Shyamali Math Dakshinpara Durgotsav – famous Durga Puja Pandal of Northern Kolkata region. Charakdanga Sarbojanin – famous Durga Puja Pandal of Northern Kolkata region. Natunpukur Sarbojanin – famous Durga Puja Pandal of Northern Kolkata region. Kalyankrit Sangha – famous Durga Puja Pandal of Northern Kolkata region. 22 Ghar Puja Committee – famous Durga Puja Pandal of Northern Kolkata region. Sukantanagar Sharodtsav – famous Durga Puja Pandal of Northern Kolkata region. Try to visit all the above mentioned famous Durga Puja Pandals of North Kolkata. All these Durga Puja organizers come up with new creative themes every year and thousands of people used to visit these North Kolkata’s Durga Puja Pandals every year. We have informed you the famous North & Central Kolkata Durga Puja Pandal Names, South Kolkata Durga Puja Pandal name list, Behala area’s Durga Puja Pandal name list, famous Salt Lake & East Kolkata Durga Puja Pandal Names earlier. You may also visit Durga Puja Pandals of extreme Southern part of Kolkata [Naktala, Patuli, Haridevpur, Rajpur etc] or may visit Durga Puja Pandals of Howrah & Nearby areas to avoid huge crowd. Try to visit as many as you can, because it’s not possible to visit all Durga Puja Pandals of Kolkata within 4-5 days because of huge rush & traffic jam. Do you want to know the list of all famous Durga Pujas of Howrah Zilla? Do you want to know what Durga Puja Pandals of Howrah district that should be visited? There are so many famous Durga Puja pandals are located in Howrah District's various places like Shibpur, Kadamtala, Salkia, Ghusuri, Liluah, Belur, Bally etc etc. Here is the name of all Howrah Zilla’s popular Durga Puja Pandals for you. Howrah Shibpur Nabarun Sangha – famous Durga Puja of Howrah & nearby areas. Aarupara Milan Sangha – famous Durga Puja of Howrah & nearby areas. East India Rocklines Association – famous Durga Puja of Howrah & nearby areas. Kamardanga Sitalatala – famous Durga Puja of Howrah & nearby areas. Shibpur, Howrah Nimtala Baroari – famous Durga Puja of Howrah & nearby areas. Howrah Salkia Alapani – famous Durga Puja of Howrah & nearby areas. Howrah Salkia Tarun Dal – famous Durga Puja of Howrah & nearby areas. Salkia Trayee Milan – famous Durga Puja of Howrah district & nearby areas. Howrah Saraswati Club – famous Durga Puja of Howrah & nearby areas. Howrah Sanmilita Nagarikbrinda – famous Durga Puja of Howrah & nearby areas. Olabibitala Sarbojanin – famous Durga Puja of Howrah & nearby areas. Howrah Kadamtala Subal Smriti Sangha – famous Durga Puja of Howrah & nearby areas. Sahajatri – famous Durga Puja of Howrah & nearby areas. Howrah Tarun Samiti – famous Durga Puja of Howrah & nearby areas. Howrah Salkia Chatra Bayam Samiti – famous Durga Puja of Howrah & nearby areas. Howrah Salkia Agradut – famous Durga Puja of Howrah & nearby areas. Salkia Lal Bihari Bose Lane – famous Durga Puja of Howrah district & nearby areas. Don Bosco Vivekananda Sanmilani – famous Durga Puja of Howrah district & nearby areas. Ghoshpara Kishor Bharati Agrani – famous Durga Puja of Howrah district & nearby areas. Liluah Mitali Sangha – famous Durga Puja of Howrah district & nearby areas. Howrah Ghusuri Project Sarbajanin – famous Durga Puja of Howrah district & nearby areas. Liluah Daspara Paanch Bhai Sangha – famous Durga Puja of Howrah district & nearby areas. Kajibagan Lane Social Welfare Association – famous Durga Puja of Howrah & nearby areas. Byatra Nabin Sangha – famous Durga Puja of Howrah & nearby areas. Byatra Sanmilani – famous Durga Puja of Howrah district & nearby areas. Howrah Seva Sangha – famous Durga Puja of Howrah district & nearby areas. Bamungachi Recreation Club – famous Durga Puja of Howrah district & nearby areas. Thakur Ramkrishna Lane Charabagan Sarbojanin – famous Durga Puja of Howrah district & nearby areas. Howrah Shibpur Kasundia United – famous Durga Puja of Howrah district & nearby areas. Howrah Shibpur Sasthitala Baroari – famous Durga Puja of Howrah & nearby areas. Howrah Kalyanpalli Sarbojanin – famous Durga Puja of Howrah & nearby areas. Howrah Amtala Sanghasri – famous Durga Puja of Howrah district & nearby areas. Netaji Balak Sangha – famous Durga Puja of Howrah & nearby areas. Pagla Fauj – famous Durga Puja of Howrah & nearby areas. Ghasbagan Sporting Club – famous Durga Puja of Howrah & nearby areas. Howrah Santragachi Kalpataru Sporting Club – famous Durga Puja of Howrah & nearby areas. Howrah Anusilan Samiti – famous Durga Puja of Howrah & nearby areas. Howrah Kadamtala Muktik – famous Durga Puja of Howrah district & nearby areas. Howrah Shibpur Mandirtala Sadharan Durgotsav – famous Durga Puja of Howrah district & nearby areas. Chandmari Road Mandir Committee (Hanskhali Pole) – famous Durga Puja of Howrah district & nearby areas. Ramrajatala, Howrah Jubakbrinda (Shankar Math) – famous Durga Puja of Howrah district & nearby areas. Chittaranjan Smriti Mandir – famous Durga Puja of Howrah district & nearby areas. Uttar Khurut Baroari – famous Durga Puja of Howrah district & nearby areas. Golmohar Sharodtsav Committee – famous Durga Puja of Howrah district & nearby areas. Korarbagan Bagbadini Bayam Samiti – famous Durga Puja of Howrah district & nearby areas. Ramkrishna Athletic Club – famous Durga Puja of Howrah district & nearby areas. Banerjee Bagan Sarbojanin – famous Durga Puja of Howrah & nearby areas. Jatadhari Park Pallibasibrinda – famous Durga Puja of Howrah & nearby areas. Belur Math – a must visit Durga Puja of Howrah district. 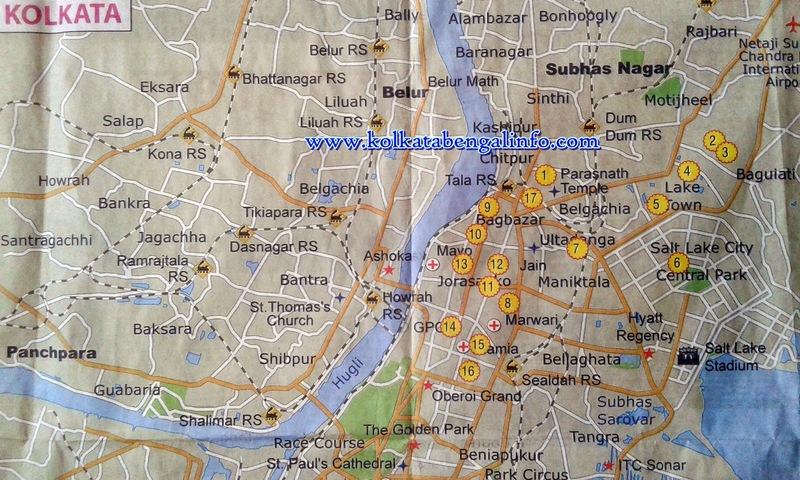 Belur Bastuhara Colony – famous Durga Puja of Howrah district & nearby areas. Belur Nisco Sarbojanin – famous Durga Puja of Howrah district & nearby areas. Bally Sasthitala Seva Samiti – famous Durga Puja of Howrah district & nearby areas. Bally Shantinagar Sarbojanin – famous Durga Puja of Howrah district & nearby areas. Bally Kumillapara Pallimangal Samiti – famous Durga Puja of Howrah district & nearby areas. Sapuipara Balak Sangha – famous Durga Puja of Howrah district & nearby areas. Nischinda Baroari – famous Durga Puja of Howrah district & nearby areas. Debir Para 3no Bharat Mata Committee – famous Durga Puja of Howrah district & nearby areas. Balitikuri Sadananda Smriti Sangha – famous Durga Puja of Howrah district & nearby areas. Bally Naba Yuva Sangha – famous Durga Puja of Howrah district & nearby areas. Bally Barrackpore Sarbojanin (Rashbari) – famous Durga Puja of Howrah district & nearby areas. Bally Dingsaipara – famous Durga Puja of Howrah district & nearby areas. Bally Deshbandhu Club – famous Durga Puja of Howrah district & nearby areas. Bally Green Garden – famous Durga Puja of Howrah district & nearby areas. Bally Badamtala Sarbojanin – famous Durga Puja of Howrah district & nearby areas. Try to visit all the above mentioned famous Durga Puja Pandals of Howrah Zilla. All these Durga Puja organizers come up with new creative themes every year and thousands of people used to visit these Howrah Zilla’s Durga Puja Pandals every year. We have informed you the famous North & Central Kolkata Durga Puja Pandal Names, South Kolkata Durga Puja Pandal name list, Behala area’s Durga Puja Pandal name list, famous Salt Lake & East Kolkata Durga Puja Pandal Names earlier. Try to visit as many as you can, because it’s not possible to visit all Durga Puja Pandals of Kolkata within 4-5 days because of huge rush & traffic jam. Happy Durga Puja to all of you. Do you want to know the list of all famous Durga Pujas of Dakshin Kolkata? Do you want to know what Durga Puja Pandals of Dakshin Kolkata should be visited? There are so many famous Durga Puja pandals are situated in Dakshin Kolkata like Naktala, Baisnabghata, Patuli, Ranikuthi, Santoshpur, Garia, Rajpur, Haridevpur etc etc. Here is the name of all Dakshin Kolkata’s popular Durga Puja Pandals for you. These Durga Pujas are located at the extreme South portion of Kolkata; but easy to be reached by E.M. Bypass (on Roadways) and also by Train (at various stations like Garia, Baghajatin etc.). Naktala Udayan Sangha – famous Durga Puja Pandal of Southern part of Kolkata. Naktala Palli Unnayan Samiti – famous Durga Puja Pandal of Southern part of Kolkata. Naktala Sanmilani – famous Durga Puja Pandal of Southern part of Kolkata. Patuli Sarbajanin – famous Durga Puja Pandal of Southern part of Kolkata. Baishnavghata Patuli Upanagari Sarbajanin – famous Durga Puja Pandal of Southern part of Kolkata. Baisnabghata Balok Samiti – famous Durga Puja Pandal of Southern part of Kolkata. Kendua Sarbojanin – famous Durga Puja Pandal of Southern part of Kolkata. Kendua Shanti Sangha – famous Durga Puja Pandal of Southern part of Kolkata. Avenue South Pallimangal Samiti – famous Durga Puja Pandal of Southern part of Kolkata. Santoshpur Lake Palli – famous Durga Puja Pandal of Southern part of Kolkata. Santoshpur Adi Sarbojanin – famous Durga Puja Pandal of Southern part of Kolkata. Santoshpur Rasmani Bagan – famous Durga Puja Pandal of Southern part of Kolkata. Jatra Suru Sangha – famous Durga Puja Pandal of Southern part of Kolkata. 4no. Milani Club Vidyasagar Colony, Ganguli Bagan – famous Durga Puja Pandal of Southern part of Kolkata. Shyama Palli Shyama Sangha – famous Durga Puja Pandal of Southern part of Kolkata. Victoria Greens – famous Durga Puja Pandal of Southern part of Kolkata. Vivekananda Park Athletic Club – famous Durga Puja Pandal of Southern part of Kolkata. Rajpur Sarbojanin – famous Durga Puja Pandal of Southern part of Kolkata. Kamdahari Narkelbagan Sarbojanin – famous Durga Puja Pandal of Southern part of Kolkata. Maha Mayatala (East) Milani – famous Durga Puja Pandal of Southern part of Kolkata. Garia Mitali Sangha – famous Durga Puja Pandal of Southern part of Kolkata. Garia Amra K Jon Club – famous Durga Puja Pandal of Southern part of Kolkata. Garia Purba Balia – famous Durga Puja Pandal of Southern part of Kolkata. Garia Paramartho Sadhak Sangha – famous Durga Puja Pandal of Southern part of Kolkata. Rajpur Sishu Sangha – famous Durga Puja Pandal of Southern part of Kolkata. Rajpur Sarbajanin – famous Durga Puja Pandal of Southern part of Kolkata. Rajpur Nabarun Sangha – famous Durga Puja Pandal of Southern part of Kolkata. Rajpur 11 Palli Unnayan Samiti – famous Durga Puja Pandal of Southern part of Kolkata. Rajpur Sabuj Sangha – famous Durga Puja Pandal of Southern part of Kolkata. Naskarpara Palli Unnayan Samiti – famous Durga Puja Pandal of Southern part of Kolkata. Laskarpur Jagriti Sangha – famous Durga Puja Pandal of Southern part of Kolkata. Raipur Club – famous Durga Puja Pandal of Southern part of Kolkata. Purba Rajpur Adhibasibrinda – famous Durga Puja Pandal of Southern part of Kolkata. Ramakrishnanagar Boys Club – famous Durga Puja Pandal of Southern part of Kolkata. Kamdahari Purba Para Sarbojanin – famous Durga Puja Pandal of Southern part of Kolkata. Boral Aatabagan Sarbajanin – famous Durga Puja Pandal of Southern part of Kolkata. Rainagar Unnayan Samiti – famous Durga Puja Pandal of Southern part of Kolkata. Ramgarh Adhibasibrinda – famous Durga Puja Pandal of Southern part of Kolkata. Baghajatin Udayan – famous Durga Puja Pandal of Southern part of Kolkata. Baghajatin B & C Block Sarbojanin – famous Durga Puja Pandal of Southern part of Kolkata. Pallisri Sarbojanin – famous Durga Puja Pandal of Southern part of Kolkata. Ranikuthi Abhijan – famous Durga Puja Pandal of Southern part of Kolkata. Ranikuthi Netaji Jatiya Sevadal – famous Durga Puja Pandal of Southern part of Kolkata. Azadgarh Sevak Sangha – famous Durga Puja Pandal of Southern part of Kolkata. Sahidnagar Debalaya – famous Durga Puja Pandal of Southern part of Kolkata. 41 Palli – famous Durga Puja Pandal of Southern part of Kolkata. Haridebpur Vivekananda Sporting Club – famous Durga Puja Pandal of Southern part of Kolkata. Haridevpur Vivekananda Athletic Club – famous Durga Puja Pandal of Southern part of Kolkata. Ajeyo Sanhati – famous Durga Puja Pandal of Southern part of Kolkata. Putiari Sarbojanin – famous Durga Puja Pandal of Southern part of Kolkata. Rainagar Palli Unnayan Samiti – famous Durga Puja Pandal of Southern part of Kolkata. Sonarpur More Sarbojanin – famous Durga Puja Pandal of Southern part of Kolkata. Sonarpur Green Park Sarbojanin – famous Durga Puja Pandal of Southern part of Kolkata. Malikapur Sarbojanin – famous Durga Puja Pandal of Southern part of Kolkata. Narendrapur Mission Mandir Gate Sarbojanin – famous Durga Puja Pandal of Southern part of Kolkata. Baruipur Padmapukur Youth Club – famous Durga Puja Pandal of Southern part of Kolkata. Baruipur Sarbojanin Puja Utsav Sangha – famous Durga Puja Pandal of Southern part of Kolkata. Try to visit all the above mentioned famous Durga Puja Pandals of Dakshin Kolkata. All these Durga Puja organizers come up with new creative themes every year and thousands of people used to visit these Dakshin Kolkata’s Durga Puja Pandals every year. Do you want to know the list of all famous Durga Pujas of South West Kolkata? Do you want to know what Durga Puja Pandals of South West Kolkata should be visited? There are so many famous Durga Puja pandals are situated in South West Kolkata like Behala, Thakurpukur, Barisha etc etc. 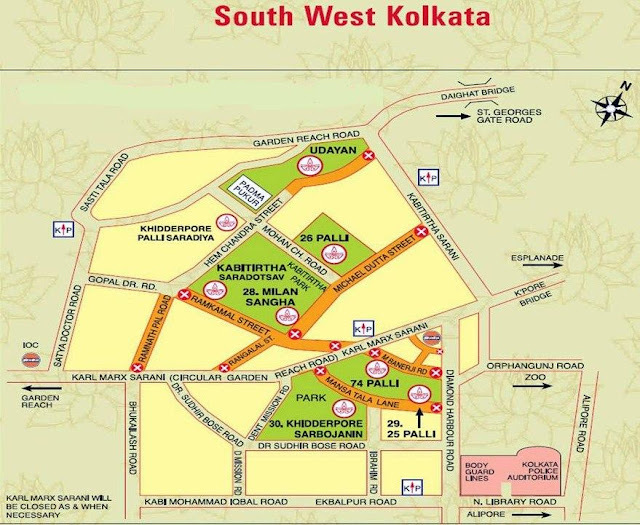 Here is the name of all South West Kolkata’s popular Durga Puja Pandals for you. Behala Nutan Dal – famous Durga Puja Pandal of South-West Kolkata. Barisha Youth Club – famous Durga Puja Pandal of South-West Kolkata. Barisha Udayan Palli – famous Durga Puja Pandal of South-West Kolkata. Barisha Jubak Brindo – famous Durga Puja Pandal of South-West Kolkata. Barisha Tarun Tirtha – famous Durga Puja Pandal of South-West Kolkata. Daspara Janakalyan Samiti – famous Durga Puja Pandal of South-West Kolkata. Barisha Sarbojanin Sabarnapara – famous Durga Puja Pandal of South-West Kolkata. Barisha Milani Sangha – famous Durga Puja Pandal of South-West Kolkata. Barisha Sarbajanin – famous Durga Puja Pandal of South-West Kolkata. Barisha Tapobon Club – famous Durga Puja Pandal of South-West Kolkata. Barisha Netaji Sangha – famous Durga Puja Pandal of South-West Kolkata. Nandana Yuva Sangha – famous Durga Puja Pandal of South-West Kolkata. Behala Club – famous Durga Puja Pandal of South-West Kolkata. Adarsha Palli Sarbojanin – famous Durga Puja Pandal of South-West Kolkata. Pragati Sangha Sarbojanin – famous Durga Puja Pandal of South-West Kolkata. Sahapur Mitali Sangha – famous Durga Puja Pandal of South-West Kolkata. Sahapur Tarun Sangha – famous Durga Puja Pandal of South-West Kolkata. Thakurpukur Club – famous Durga Puja Pandal of South-West Kolkata. Sabedabagan Club – famous Durga Puja Pandal of South-West Kolkata. Sitalatala Kishore Sangha – famous Durga Puja Pandal of South-West Kolkata. Behala Nutan Sangha – famous Durga Puja Pandal of South-West Kolkata. Behala Young Men’s’ Association – famous Durga Puja Pandal of South-West Kolkata. Behala Shakti Sangha – famous Durga Puja Pandal of South-West Kolkata. Trishakti Sangha – famous Durga Puja Pandal of South-West Kolkata. Shakuntala Park – famous Durga Puja Pandal of South-West Kolkata. Behala Buro-Shibtala Janakalyan Sangha – famous Durga Puja Pandal of South-West Kolkata. Senhati Durgotsav Samiti – famous Durga Puja Pandal of South-West Kolkata. Debdaru Fatak – famous Durga Puja Pandal of South-West Kolkata. Palli Unnayan Samiti – famous Durga Puja Pandal of South-West Kolkata. New James Ajanta Puja Committee – famous Durga Puja Pandal of South-West Kolkata. Bandhusri – famous Durga Puja Pandal of South-West Kolkata. Chanditala Sarbojanin – famous Durga Puja Pandal of South-West Kolkata. Behala Bramhasamaj Club – famous Durga Puja Pandal of South-West Kolkata. Budge Budge Dharmtala 11 Palli Sarbojanin – famous Durga Puja Pandal of South-West Kolkata. Budge Budge D.N. Ghosh Road Puja Committee – famous Durga Puja Pandal of South-West Kolkata. Try to visit all the above mentioned famous Durga Puja Pandals of South West Kolkata. All these Durga Puja organizers come up with new creative themes every year and thousands of people used to visit these South West Kolkata’s Durga Puja Pandals every year. We have informed you the famous North & Central Kolkata Durga Puja Pandal Names, South Kolkata Durga Puja Pandal name list, famous Salt Lake & East Kolkata Durga Puja Pandal Names earlier. Try to visit as many as you can, because it’s not possible to visit all Durga Puja Pandals of Kolkata within 4-5 days because of huge rush & traffic jam. Happy Durga Puja and wish you a safe & happy Durga Puja Parikrama at Behala area of Kolkata. Do you want to know the list of all famous Durga Pujas of Salt Lake & East Kolkata? Do you want to know what Durga Puja Pandals of Salt Lake & East Kolkata should be visited? There are so many famous Durga Puja pandals are situated in Salt Lake & East Kolkata like Telengabagan, Kankurgachi, Baguiati, Lake Town, Bagmari, Salt Lake, Beleghata etc etc. Here is the name of all Salt Lake & East Kolkata’s popular Durga Puja Pandals for you. Since it’s easy to come by train [nearest Railway station Bidhannagar (Ultadanga)] and then easily accessible by walk nearby areas like Bagmari, Kankurgachi, Salt Lake etc; thus high rush of people expected every year. Telengabagan (Ultadanga) – one of the famous Durga Puja Pandals of Kolkata. Karbagan – one of the famous Durga Puja Pandals of Kolkata. Sri Bhumi Sporting – one of the famous Durga Puja Pandals of Kolkata. Pradip Sangha Natun Palli Adhibasibrindo – one of the famous Durga Puja Pandals of Kolkata. Lake Town Adhibasibrinda – one of the famous Durga Puja Pandals of Kolkata. Tangra Gholpara – one of the famous Durga Puja Pandals of Kolkata. Beleghata Pragati Sangha – one of the famous Durga Puja Pandals of Kolkata. Beleghata Subhas Sporting Club – one of the famous Durga Puja Pandals of Kolkata. Beleghata Nabamilan – one of the famous Durga Puja Pandals of Kolkata. Sandhani – one of the famous Durga Puja Pandals of Kolkata. Beleghata Agroni – one of the famous Durga Puja Pandals of Kolkata. Maniktala CIT Palli (Scheme VI(M)) – one of the famous Durga Puja Pandals of Kolkata. Nabodoy Pallimangal – one of the famous Durga Puja Pandals of Kolkata. 33 Palli Sarbojanin – one of the famous Durga Puja Pandals of Kolkata. Narkeldanga Shitalamandir Sarbajanin – one of the famous Durga Puja Pandals of Kolkata. Bijayi Sangha – one of the famous Durga Puja Pandals of Kolkata. Sura Jubakbrinda – one of the famous Durga Puja Pandals of Kolkata. Gurudas Park Sarbajanin – one of the famous Durga Puja Pandals of Kolkata. Maniktala Baroari – one of the famous Durga Puja Pandals of Kolkata. 29 Palli Sarbojanin – one of the famous Durga Puja Pandals of Kolkata. Maniktala Housing Estate Adhibasibrinda – one of the famous Durga Puja Pandals of Kolkata. Kankurgachi Mitali – one of the famous Durga Puja Pandals of Kolkata. Kankurgachi Swapnar Bagan – one of the famous Durga Puja Pandals of Kolkata. Kankurgachi Adhibasibrinda – one of the famous Durga Puja Pandals of Kolkata. Kankurgachi Jubakbranda – one of the famous Durga Puja Pandals of Kolkata. Kankurgachi CIT Building (Block 5-7) – one of the famous Durga Puja Pandals of Kolkata. Dumdum Park Sarbajanin – one of the famous Durga Puja Pandals of Kolkata. Dumdum Tarun Dal – one of the famous Durga Puja Pandals of Kolkata. Dum Dum Park Tarun Sangha – one of the famous Durga Puja Pandals of Kolkata. Dum Dum Bharat Chakra – one of the famous Durga Puja Pandals of Kolkata. Dumdum Japur Bayam Samiti – one of the famous Durga Puja Pandals of Kolkata. 14 Palli Sarbajanin – one of the famous Durga Puja Pandals of Kolkata. Ultadanga B.R.S.-3 – one of the famous Durga Puja Pandals of Kolkata. Ultadanga Daspara – one of the famous Durga Puja Pandals of Kolkata. United Club – one of the famous Durga Puja Pandals of Kolkata. Bangur Avenue Pratirdh Bahini – one of the famous Durga Puja Pandals of Kolkata. Netaji Sporting Club – one of the famous Durga Puja Pandals of Kolkata. Baguiati Rail Pukur United Club – one of the famous Durga Puja Pandals of Kolkata. Baguiati Udayan Sangha – one of the famous Durga Puja Pandals of Kolkata. Ajaynagar Sarbojanin – one of the famous Durga Puja Pandals of Kolkata. Vivekananda Sangha Sarbojanin – one of the famous Durga Puja Pandals of Kolkata. Purba Kolkata Chatra Samiti – one of the famous Durga Puja Pandals of Kolkata. Kadapara Sarbajanin – one of the famous Durga Puja Pandals of Kolkata. Kalitala Sporting Club – one of the famous Durga Puja Pandals of Kolkata. Samarpalli Sarbojanin – one of the famous Durga Puja Pandals of Kolkata. Purba Kolkata Sarbajanin – one of the famous Durga Puja Pandals of Kolkata. Purba Bagmari Sarbojanin – one of the famous Durga Puja Pandals of Kolkata. Jangra Vivekananda Kalyan Samiti – one of the famous Durga Puja Pandals of Kolkata. Bagmari Youth Progressive Association – one of the famous Durga Puja Pandals of Kolkata. Bagmari Bazar Sarbajanin – one of the famous Durga Puja Pandals of Kolkata. Salt Lake AA Block – one of the famous Durga Puja Pandals of Kolkata. Salt Lake AB Block – one of the famous Durga Puja Pandals of Kolkata. Salt Lake AC Block – one of the famous Durga Puja Pandals of Kolkata. Salt Lake AD Block – one of the famous Durga Puja Pandals of Kolkata. Salt Lake AE Block (Part 1) – one of the famous Durga Puja Pandals of Kolkata. Salt Lake AH Block – one of the famous Durga Puja Pandals of Kolkata. Salt Lake AJ Block – one of the famous Durga Puja Pandals of Kolkata. Salt Lake AK Block – one of the famous Durga Puja Pandals of Kolkata. Salt Lake BB Block – one of the famous Durga Puja Pandals of Kolkata. Salt Lake BD Block – one of the famous Durga Puja Pandals of Kolkata. Salt Lake BE (East) Block – one of the famous Durga Puja Pandals of Kolkata. Salt Lake BG Block – one of the famous Durga Puja Pandals of Kolkata. Salt Lake BJ Block – one of the famous Durga Puja Pandals of Kolkata. Salt Lake BL Block – one of the famous Durga Puja Pandals of Kolkata. Salt Lake CB Block – one of the famous Durga Puja Pandals of Kolkata. Salt Lake CJ Block – one of the famous Durga Puja Pandals of Kolkata. Salt Lake DL Block – one of the famous Durga Puja Pandals of Kolkata. Salt Lake FD Block – one of the famous Durga Puja Pandals of Kolkata. Salt Lake GD Block – one of the famous Durga Puja Pandals of Kolkata. Salt Lake HB Block – one of the famous Durga Puja Pandals of Kolkata. Salt Lake IA Block – one of the famous Durga Puja Pandals of Kolkata. Salt Lake IB Block – one of the famous Durga Puja Pandals of Kolkata. Salt Lake Laboni Abasan – one of the famous Durga Puja Pandals of Kolkata. Salt Lake EE Block – one of the famous Durga Puja Pandals of Kolkata. Salt Lake EC Block – one of the famous Durga Puja Pandals of Kolkata. Salt Lake FE Block – one of the famous Durga Puja Pandals of Kolkata. Salt Lake JC Block – one of the famous Durga Puja Pandals of Kolkata. Salt Lake Vidyasagar Abasan – one of the famous Durga Puja Pandals of Kolkata. Salt Lake Karunamoyee G Block – one of the famous Durga Puja Pandals of Kolkata. Salt Lake AD Block Phase-I – one of the famous Durga Puja Pandals of Kolkata. Salt Lake Phase-IV Sourav Abasan – one of the famous Durga Puja Pandals of Kolkata. Salt Lake KC Block – one of the famous Durga Puja Pandals of Kolkata. Salt Lake Purbachal Sports & Cultural Samiti – one of the famous Durga Puja Pandals of Kolkata. Salt Lake Purbachal Cluster – one of the famous Durga Puja Pandals of Kolkata. Salt Lake Baisakhi Abasan – one of the famous Durga Puja Pandals of Kolkata. Eastern High Puja Committee (New Town) – one of the famous Durga Puja Pandals of Kolkata. Dakshin Rabindra Palli Sarbajanin – one of the famous Durga Puja Pandals of Kolkata. Purba Rajpur Adhibasibrinda – one of the famous Durga Puja Pandals of Kolkata. Try to visit all the above mentioned famous Durga Puja Pandals of Salt Lake & East Kolkata. All these Durga Puja organizers come up with new creative themes every year and thousands of people used to visit these Salt Lake & East Kolkata’s Durga Puja Pandals every year. We have informed you the famous North & Central Kolkata Durga Puja Pandal Names, South Kolkata Durga Puja Pandal name list earlier. Try to visit as many as you can, because it’s not possible to visit all Durga Puja Pandals of Kolkata within 4-5 days because of huge rush & traffic jam. Do you want to know the list of all famous Durga Pujas of South Kolkata? Do you want to know what Durga Puja Pandals of South Kolkata should be visited? There are so many famous Durga Puja pandals are situated in South Kolkata like Ekdalia Evergreen, Singhi Park, Suruchi Sangha, Hindustan Park, Maddox Square, Chetla Agrani, Jodhpur Park, Mudiali, Salimpur, Bosepukur etc etc. Here is the name of all South Kolkata’s popular Durga Puja Pandals for you. Ekdalia Evergreen – famous Durga Puja pandal name of South Kolkata. Singhi Park – famous Durga Puja pandal name of South Kolkata. Hindustan Park Sarbajanin – famous Durga Puja pandal name of South Kolkata. Suruchi Sangha – famous Durga Puja pandal name of South Kolkata. Chetla Agrani – famous Durga Puja pandal name of South Kolkata. Chetla Sarba Shadharaner Durgotsav – famous Durga Puja Pandal name of South Kolkata. Ballygunje Purba Palli – famous Durga Puja pandal name of South Kolkata. Adi Ballygunge – famous Durga Puja pandal name of South Kolkata. Badamtala Asar Sangha – famous Durga Puja pandal name of South Kolkata. 66 Pally – famous Durga Puja pandal name of South Kolkata. Tridhara – famous Durga Puja pandal name of South Kolkata. Park Circus Maidan – famous Durga Puja pandal name of South Kolkata. Park Circus Sarbajanin – famous Durga Puja pandal name of South Kolkata. Rup Chand Mukherjee Lane – famous Durga Puja pandal name of South Kolkata. Sanghasri – famous Durga Puja pandal name of South Kolkata. Kalighat Sarbajanin – famous Durga Puja pandal name of South Kolkata. Kalighat Milan Sangha – famous Durga Puja pandal name of South Kolkata. Ballygunge Cultural – famous Durga Puja pandal name of South Kolkata. Shibmandir – famous Durga Puja pandal name of South Kolkata. Mudiali Club – famous Durga Puja pandal name of South Kolkata. Mudiali Haribhakti Pradaini Sabha – famous Durga Puja pandal name of South Kolkata. Maddox Square – famous Durga Puja pandal name of South Kolkata. Hazra 22 Palli – famous Durga Puja pandal name of South Kolkata. Bosepukur Sitala Mandir – famous Durga Puja pandal name of South Kolkata. Bosepukur Talbagan – famous Durga Puja pandal name of South Kolkata. Bosepukur Parijat Club – famous Durga Puja pandal name of South Kolkata. Rajdanga Nabodoy – famous Durga Puja pandal name of South Kolkata. Shakti Sangha Kasba Juhubazar – famous Durga Puja pandal name of South Kolkata. Agradut Udayan Sangha – famous Durga Puja pandal name of South Kolkata. 64 Palli – famous Durga Puja pandal name of South Kolkata. Roy Street Sarbajanin – famous Durga Puja pandal name of South Kolkata. Golmath Durga Puja Samity – famous Durga Puja pandal name of South Kolkata. 21 Pally Sarbajanin – famous Durga Puja pandal name of South Kolkata. 22 Palli Northern Park Sharodtsav – famous Durga Puja pandal name of South Kolkata. Abasar – famous Durga Puja pandal name of South Kolkata. Padmapukur Baroari Samiti – famous Durga Puja pandal name of South Kolkata. Padmapukur Youth Association – famous Durga Puja pandal name of South Kolkata. Parasay Nabodoy Sangha – famous Durga Puja pandal name of South Kolkata. Babubagan – famous Durga Puja pandal name of South Kolkata. Bandhab Sanmilani – famous Durga Puja pandal name of South Kolkata. Sahidnagar Sarbajanin – famous Durga Puja pandal name of South Kolkata. Salimpur Club – famous Durga Puja pandal name of South Kolkata. Salimpur Palli – famous Durga Puja pandal name of South Kolkata. Pallimangal Samiti – famous Durga Puja pandal name of South Kolkata. Jodhpur Park – famous Durga Puja pandal name of South Kolkata. 95 Palli – famous Durga Puja pandal name of South Kolkata. Khidderpore Venus Club – famous Durga Puja pandal name of South Kolkata. Khiddirpur Palli Saradiya – famous Durga Puja pandal name of South Kolkata. Khidderpur 25 Palli Sarbajanin – famous Durga Puja pandal name of South Kolkata. Khiddirpur Udayan Club – famous Durga Puja pandal name of South Kolkata. Khidirpur Kabi Tirtha – famous Durga Puja pandal name of South Kolkata. Khidderpore Nabaraag – famous Durga Puja pandal name of South Kolkata. Khidirpur Jubak Sangha – famous Durga Puja pandal name of South Kolkata. Khidderpur Yuva Gosthi – famous Durga Puja pandal name of South Kolkata. Khiddirpur Bayam Samiti – famous Durga Puja pandal name of South Kolkata. Khidirpur 26 Palli – famous Durga Puja pandal name of South Kolkata. Khiddirpur 74 Palli – famous Durga Puja pandal name of South Kolkata. Khidirpur Milan Sangha – famous Durga Puja pandal name of South Kolkata. Hindustan Club – famous Durga Puja pandal name of South Kolkata. Bondel Road 21 Palli – famous Durga Puja pandal name of South Kolkata. Panditiya Sandhya Sangha – famous Durga Puja pandal name of South Kolkata. Saradiya Sanmilani – famous Durga Puja pandal name of South Kolkata. Golf Green Sharodtsav Committee – famous Durga Puja pandal name of South Kolkata. Kalighat Nepal Bhattacharjee Street – famous Durga Puja pandal name of South Kolkata. Pratapaditya Road (Trikon Park) – famous Durga Puja pandal name of South Kolkata. Tollygunje Adi Baroari – famous Durga Puja pandal name of South Kolkata. Moor Avenue Puja Committee – famous Durga Puja pandal name of South Kolkata. Alipur Sarbajanin – famous Durga Puja pandal name of South Kolkata. Nabapalli Sangha – famous Durga Puja pandal name of South Kolkata. Suhrid Sangha – famous Durga Puja pandal name of South Kolkata. East end Park – famous Durga Puja pandal name of South Kolkata. Kolahal Gosthi Durga Puja – famous Durga Puja pandal name of South Kolkata. Beltala Sarbajanin – famous Durga Puja pandal name of South Kolkata. Golpark Sarbajanin – famous Durga Puja pandal name of South Kolkata. Lake Gardens Peoples Association – famous Durga Puja pandal name of South Kolkata. Bhawanipur Sarbojanin Dharma Prasarini Samiti – famous Durga Puja pandal name of South Kolkata. Bhawanipur Durgotsav Committee – famous Durga Puja pandal name of South Kolkata. 78 Palli – famous Durga Puja pandal name of South Kolkata.. Try to visit all the above mentioned famous Durga Puja Pandals of South Kolkata. All these Durga Puja organizers come up with new creative themes every year and thousands of people used to visit these South Kolkata’s Durga Puja Pandals every year. We have informed you the famous North & Central Kolkata Durga Puja Pandal Names earlier. Try to visit as many as you can, because it’s not possible to visit all Durga Puja Pandals of Kolkata within 4-5 days because of huge rush & traffic jam. Happy Durga Puja - Wish you Safe & Happy Durga Puja Parikrama.